Provide comfort for the family of William Hurley with a meaningful gesture of sympathy. 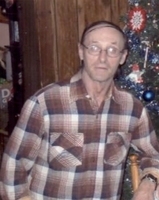 William Edward Hurley Jr. 64 of North Adams died Tuesday January 29, 2019 at Williamstown Commons. He was born in North Adams on January 6, 1955 a son of the late William Hurley and Hazel (Pratt) Hurley Bellows. William attended schools in Pownal, VT. He was employed for several years at the Widen Tannery in North Adams. Survivors include his wife Arlene (Myers) Hall Hurley. Son Bruce Hurley and his girlfriend, Silva Watson of Adams and a stepdaughter Darlene McMillan and her husband, Donald McMillian of in North Adams. Grandchildren Robbie and Brandon Coe, Cathylynn Clifford and Sarah McMillian. Brother Robert Hurley of Bennington, VT.
Funeral services to celebrate the life of William Edward Hurley will take place Thursday January 31, 2019 at 11 AM at the Flynn & Dagnoli-Montagna Home for Funerals, CENTRAL CHAPELS, 74 Marshall St. North Adams, MA. Calling hours are from 9-11 AM. Burial will take place at a later date. Memorial donations are suggested in his memory to the Flynn & Dagnoli Funeral Home. To add to the Book of Memories, please visit www.flynndagnolifuneralhomes.com. To send flowers in memory of William Edward Hurley Jr., please visit our Heartfelt Sympathies Store. Provide comfort for the family of William Edward Hurley Jr. by sending flowers. "The last enemy, death, is to be brought to nothing. "(1 Corinthians 15:26) God's Word also assures us "There is going to be a resurrection. "(Acts 24:15) During this difficult time, these promises of God can help to ease the pain of your loss. They offer you the hope of seeing your loved one again with "everlasting life" in view. (John 3:16) My condolences."